Its original name is Xaman-Ha, meaning “North Water”, it used to be a Mayan fishing village. It is believed that here was prepared or part of the Mayan journey to Cozumel. Crossing that started from Pole (today Xcaret) and that paid tribute to the goddess Ixchel. There are currently Mayan vestiges of Xaman-Ha in the residential area of Playa Car. 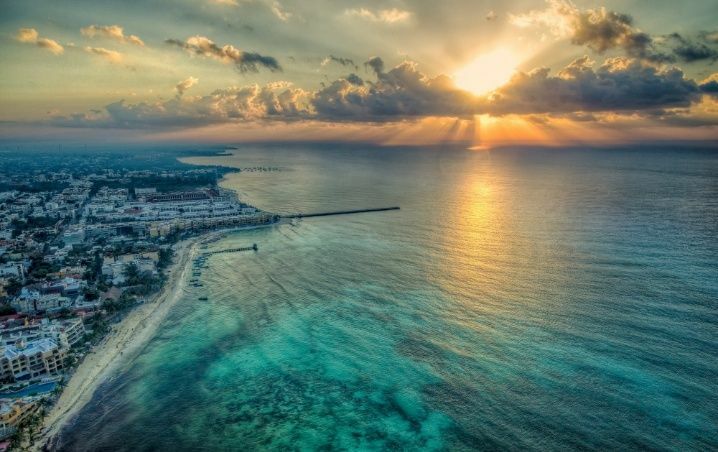 Its current name “Playa del Carmen” is thanks to the Virgen del Carmen, who is the patron saint of the city. It was founded on November 14, 1902, as a fishing village. This year, 115 years of its creation were completed. Although during the conquest many Mayan settlements were occupied by the conquerors, Playa del Carmen was never occupied. Its current foundation was due to a permit granted by former president Porfirio Díaz. The coconut and chicle industry was exploited in the area. In 1982 the first bar was founded and also one of the first hotels in the area the “Blue Parrot”. Currently this place is still in operation and is one of the most emblematic. Xcaret is one of the most emblematic parks in the world. Founded in 1990 is one of the triggers of the popularity of the city and the Riviera Maya. Although it does not have colonial buildings, there is an emblematic parish, Nuestra Señora Del Carmen Parish. This parish is located on 5th avenue, near the beach, famous for weddings. There is the “Fundadores” park, the first park in the city. The letters of the city and the Mayan portal are in that area. In January the Carnival of Playa del Carmen is celebrated, there are several shows and parades where the Mayan and general culture is recreated. In July the Festival of the Virgen del Carmen, patron saint of the town, is celebrated, and the Carmen Fair is also held. Originally belonged to the municipality of Cozumel, until July 28, 1993, when the municipality of Solidaridad was created. Moving to being Playa del Carmen the municipal seat. In the municipal library in the center of the city, there is a mural that shows this event.